All are requested to attend the 2nd session of Harvest festival to be held on Friday the 23rd of November 2018, 4.30 p.m to 11p.m at Bang Sang Thai auditorium opp. old Indian Embassy, Adliya. Food stall, Early bird with attractive prizes. Please participate & support in auction for the noble project. 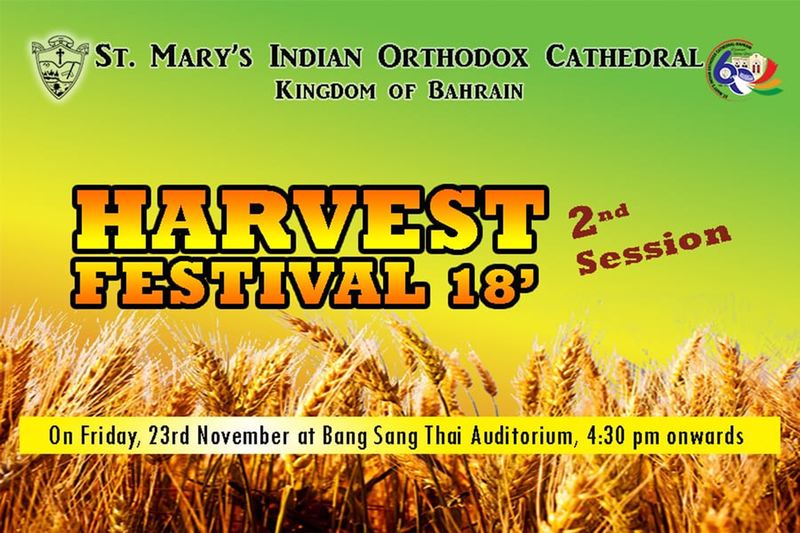 Requesting your presence and prayers for the success of Harvest Festival 2018.